And now for something a little different... 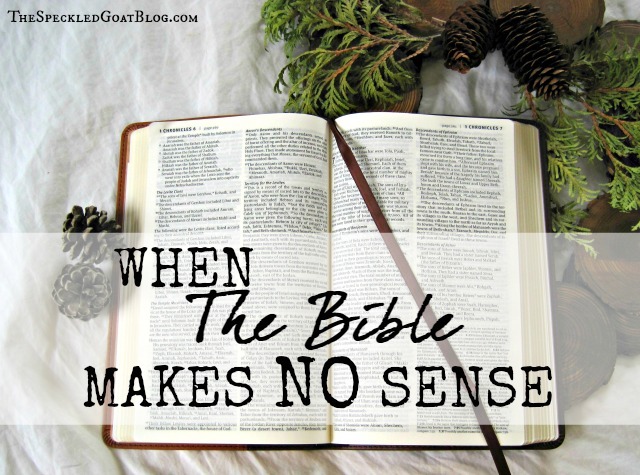 I asked (more like begged) my dear friend Cryss to write a post for this series on knowing the Bible, even the confusing parts. Why did I ask Cryss? Because she's wise, honest, friendly, and most of all, she has a passion for a particular part of the Bible that I find... challenging. Namely, she loves the Tabernacle-- and I can't make heads or tails of it. Take it away, Cryss! 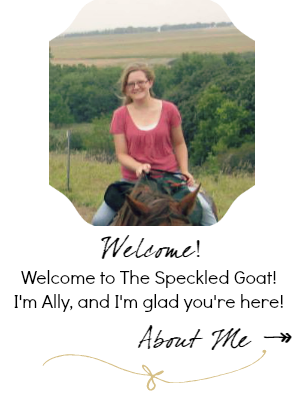 First off, I would like to say thank you to Ally for letting me write this post for her blog. 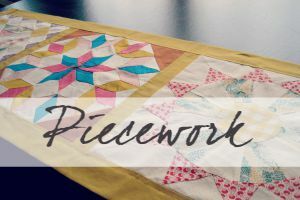 Not only is she an amazing blogger, I am privileged to call her co-worker and most importantly…friend. I love how she is so willing to put her heart out there for the benefit of us, the readers. So…thanks, Ally! So a little background on me. I am NOT a theologian by any stretch of the imagination, but I do love the Lord and I love His Word. I hope that I can help shed some light on this topic, but I would encourage everyone to do their own studying and not just take my word for it. Ally and I had been in a group together when talk turned to the Tabernacle. I guess I may have been a little too passionate about talking about it, because now I find myself here! Why present so much information about the Tabernacle/Temple in the first place? It is true that there is a lot of information presented about the Tabernacle and the Temple. 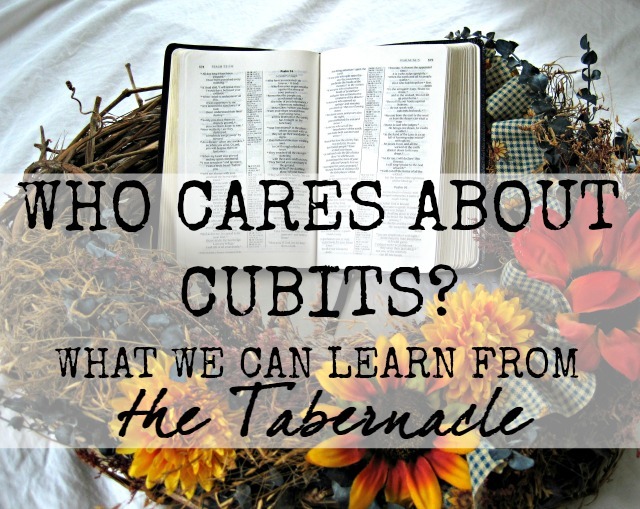 Exodus 25-30 gives detailed description about all of the items in the Tabernacle, how it should be built (this is where the cubits come in), the garments that the priests should wear and how the priests are to be set aside for their work in the Tabernacle. 1 Kings 5-6 give details about the building of the more permanent structure, the Temple (there are cubits in there too). The Temple was patterned after the Tabernacle and had many of the same elements. There is quite a bit of detail about each, but more so for the Tabernacle, and I think that is the information that most people get bogged down in. So why so much information? What I’m going to say here might sound harsh, but I ask you to hang with me for a bit. Friends, the Bible isn’t always about us. I think especially in American Christianity, we are taught that the Bible is God’s Word for us (true!) and that every single sentence should be about us (not true!). But, while every single sentence is not about us, every single sentence is about God! When we are reading the Bible and we come to some of those passages that seem tedious, or way too detail-oriented, instead of asking ourselves, “How does this apply to me and my life?” we should stop and ask, “What is this showing me about God and who He is?”. Often when answering that question, we will find things that we CAN apply to our own lives as well. Make the tabernacle with ten curtains of finely twisted linen…28 cubits long and four cubits wide…Make curtains of goat hair for the tent over the tabernacle…30 cubits long and four cubits wide. Have I lost you, yet? 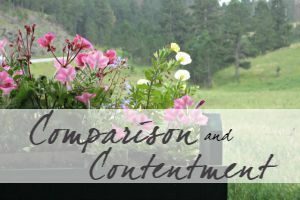 Remember the question: "What is this showing me about God and who He is?" 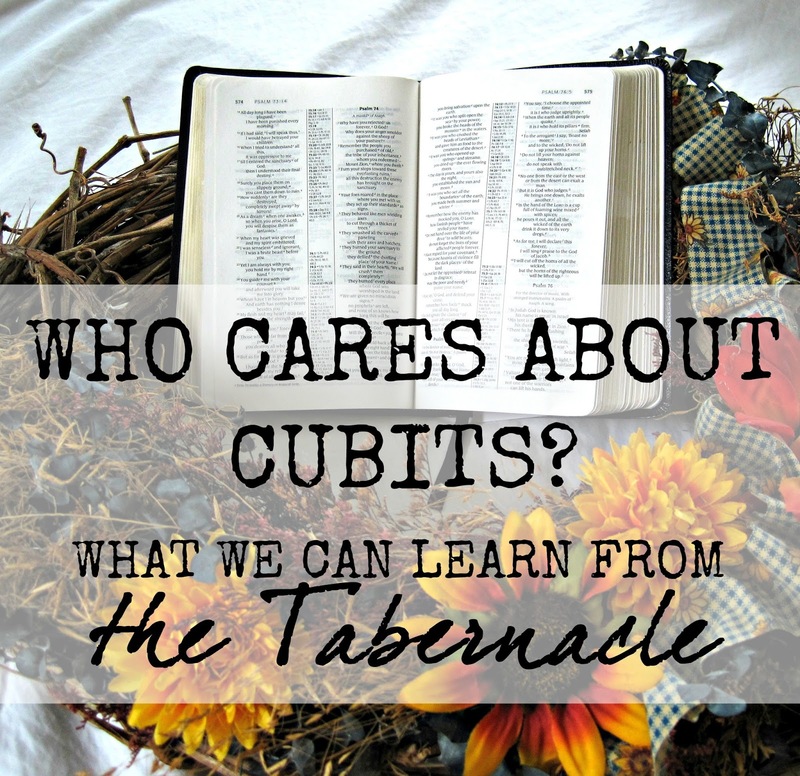 What does all this stuff about cubits and curtains tell me about God? Friends, our God is a God of detail! And the details are so important to Him! He told them the curtains should be 28 cubits long. Not 25. Not 30. Exactly 28. Why? I have no idea, but I know that He wanted the curtains to be 28 cubits long. 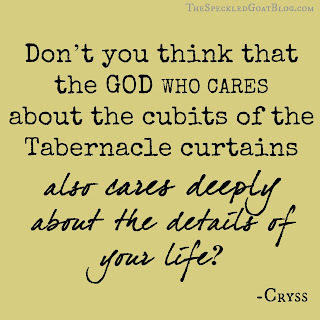 Don’t you think that the God who cares about the cubits of the Tabernacle curtains cares deeply about the details of your life? And Matthew 10:30, “And even the very hairs of your head are all numbered." Oh this is so beautiful! Again, there is lots of detail here. Again, God is in the details. He goes on to describe how many cups and buds should be there and where they should be. The lamp stand was made of pure gold and hammered out of one piece. That seems like a minor detail, but let's dig a little deeper. It was not made in many pieces and then soldered together, nor was a mold made and melted gold poured in to create the shape. A master craftsman had to take a large chunk of gold and, using a hammer, pound on it until it took shape. Friends, this is what God wants to do for us! 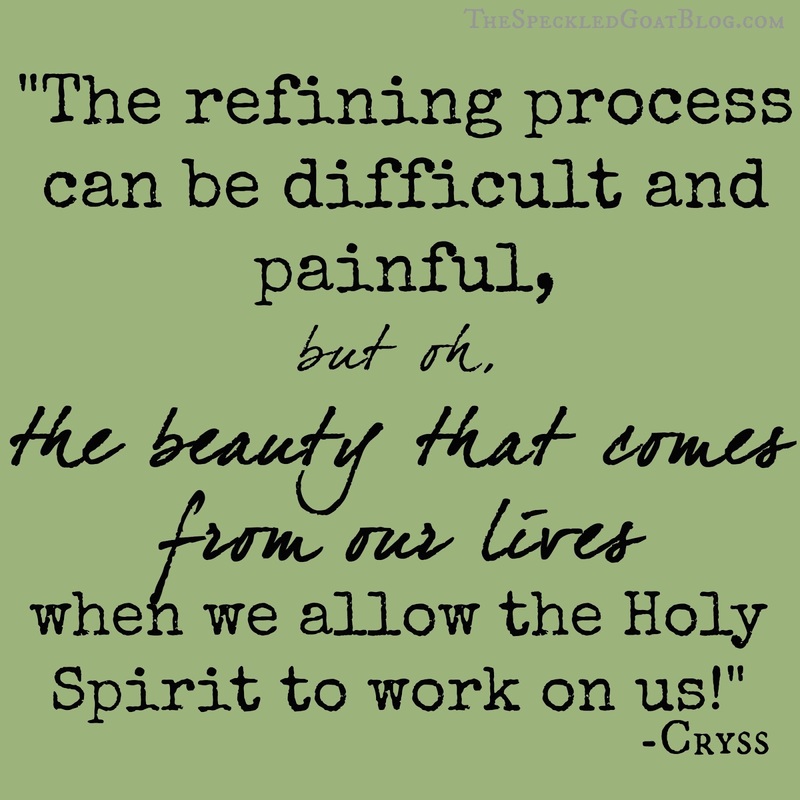 Sometimes the refining process can be difficult, painful even, but oh the beauty that comes from our lives when we allow the Holy Spirit to work on us. 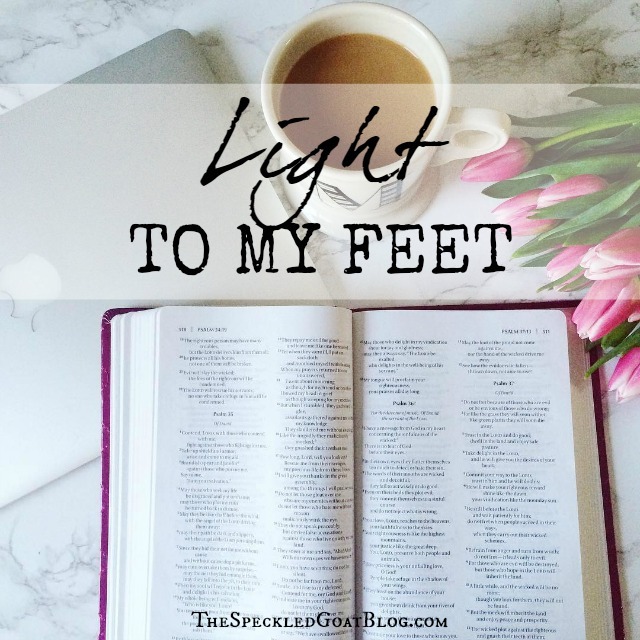 Then we, like the lamp stand, will be able to show light to the world! The Bible always points us to Jesus. We are blessed with being able to see the whole Bible from this side of the cross. I’m sure when God was giving out all those instructions, they didn’t make much sense to the people at the time, but the symbolism that we can see from this side of the cross shows us that nearly everything that God was doing in the Old Testament points us to Jesus the Messiah! I had the privilege to be able to spend one year at a Bible school after I had completed my Bachelor’s degree. I saved my notes. The pastor, Pastor Stime, taught a class on the first five books of the Bible (The Pentateuch), and really made me fall in love with all this detail that is in so much of the Old Testament. I want to leave you with a couple of things that he taught us. Remember the passage I referenced above that talked about the curtains being made of linen and goats hair? In Exodus 25:13 it goes on to talk about a covering that would go over the curtains that would be skins dyed red and then an additional covering over that one that would be made from durable leather (or animal skin). When we skim past this, we miss the symbolism here that God is giving. The linen shows the divinity of Christ. The goats’ hair shows the humanity of Christ. The red covering shows us the Blood of Christ shed for us. The durable leather outer covering gives the tent an appearance like any other tent, just like Jesus looks like any human man. The Tabernacle coverings show us that Jesus looks just like us, but underneath is His divinity. God had the Tabernacle constructed so that He could live amongst the people, to meet and speak with them. People were able to approach God by the bringing of sacrifices to the Tabernacle. But Jesus, God in the flesh, has become the sacrifice so that we can approach God. Now God doesn’t have to live in the Tabernacle or Temple. Because of Jesus’ death on the cross, there are no more barriers to Him and we can approach God freely. 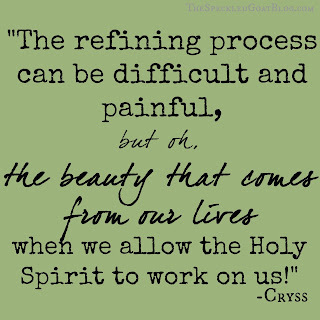 Through His Holy Spirit He can dwell in us instead of a tent. This is good news! Can we still have a living and active faith in Jesus without knowing all this? 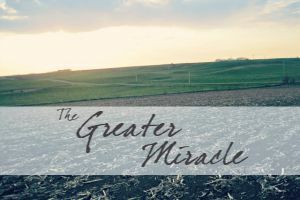 But, I believe that knowing this rich beauty from the Old Testament gives us a much fuller, richer view of who God is- when we know that He had a plan for Jesus to come, and was giving glimpses of that to people for generations. This leads me to trust that God has a great big plan for my life as well. 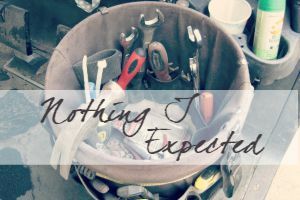 When I am in the middle of something hard, I may not see it, but when I look back on those experiences I can see that God has been in the details. What comfort this brings! 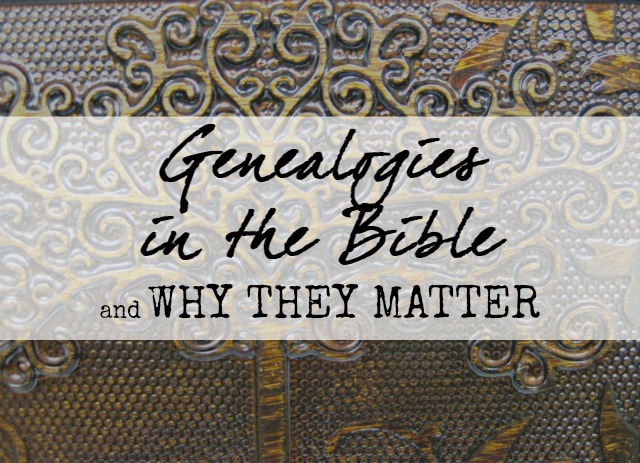 Friends, I would encourage you to dig a little deeper when you come to those hard, boring, detail-rich areas of the Bible. You never know what nuggets of truth you may find that could change your life. Thank you so much for sharing this with us, today Cryss! What a beautiful, creative, and powerful God we serve! I love the point about the Bible not being about us. So true! Isn't that great? It's a reminder I need to hear so often!! Yes! You are so right! Love this post. Oh, to love God more and more so that spending time in His word is a pure delight as we learn more and more about HIM! Hi, Kristina! Isn't it funny how often times, God brings up the same theme or same topic over and over? So cool. 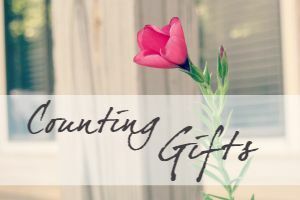 I'd love to connect with you-- I didn't see your e-mail address on your blog-- could you send me an e-mail, maybe? thespeckledgoatblog(at)gmail.com. This is a fantastic and very insightful post! Thank you for sharing and God bless you and your ministry! That's a great perspective. Bible really is our Basic Instructions Before Leaving Earth. I love that question - what is this showing me about God? 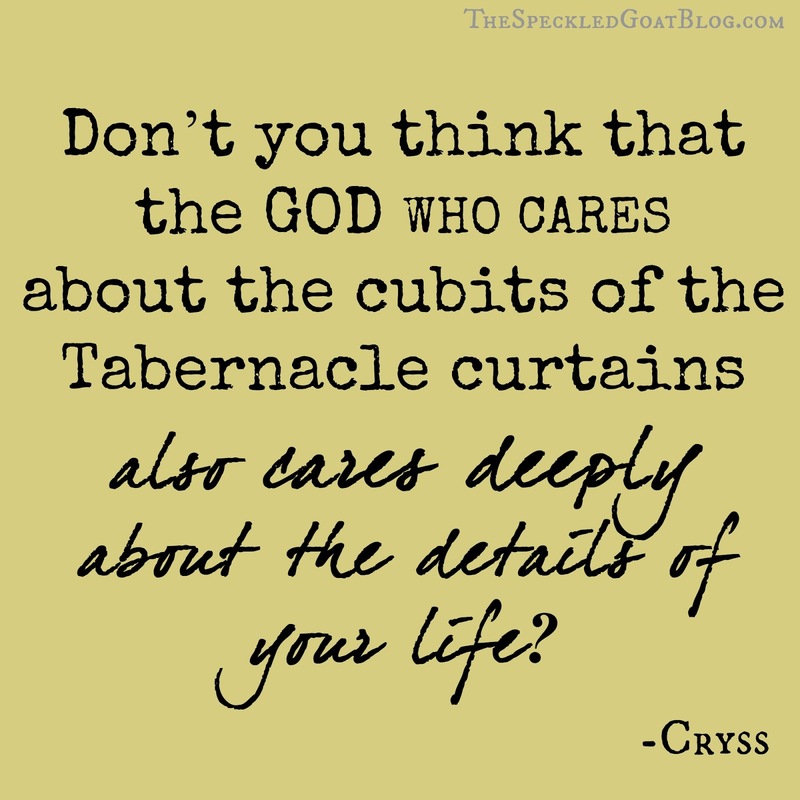 And being reminded that God loves details opens our eyes to what an amazing God we have. We only have to look at the features of a flower, or the precision with which our bodies work to be in awe of our heavenly Father. God is in the details! So many words of wisdom and insight wrapped into this writing.